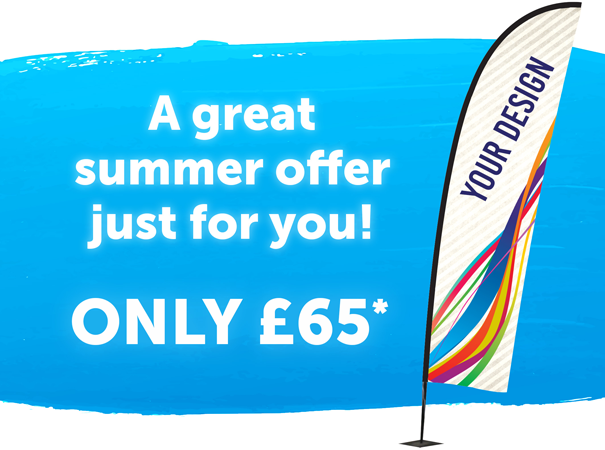 Home > News > Special offer – Get your flags out this Summer! Are you in need of an extra promotional tool to entice customers in from the sun? Or perhaps you have a great summer offer or event you want to promote? Then this promotional flag offer is for you!